Napster subscribers can stream their favorite music throughout their home with Google Chromecast. Chromecast makes it easy to cast your favorite playlists, tracks and stations directly to your TV by firing up your Napster app and casting via your Android & iOS smartphone or tablet. When you cast Napster, you can play songs instantly, without the interruption of ads from our global catalog of 40 million songs. Casting music with Napster is perfect for entertaining or if you are just relaxing at home, giving you the big screen advantage while keeping your music within arm’s reach. Using Napster on Chromecast is simple. Press the Cast icon in the action bar of your Napster Android or iOS app and your TV instantly mirrors what’s on your device's screen. Chromecast: Chromecast is a device that you plug into your TV's HDMI port, powered by a USB cable (included). Using your smartphone or computer as a remote control, you can use Chromecast to access video content from Napster, Netflix, YouTube, Hulu Plus, the Google Play Store and other services. The basic requirements for Chromecast are a TV with an HDMI port and either a USB port or the ability to plug in a USB cable to a mains adaptor somewhere near the TV. It connects over Wi-Fi (only the Chromecast Ultra can support ethernet), and you'll also need some sort of device to use as a remote control - you can use an Android or iOS phone or tablet, or a PC, laptop or Mac (in the following walkthrough we are using an Android phone). 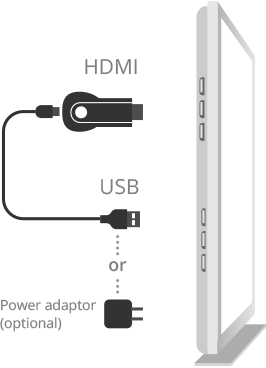 If users connects the Chromecast to a TV, they should use the AC power adapter, that way, when they starts casting, the Chromecast will power on the TV and switch the input selector to the Chromecast automatically. This feature requires HDMI-CEC, or HDMI Consumer Electronics Control, which most recent TVs support. Chromecast should work with any TV, computer monitor or projector with an HDMI input. Users can set up Chromecast from a browser or an Android app. 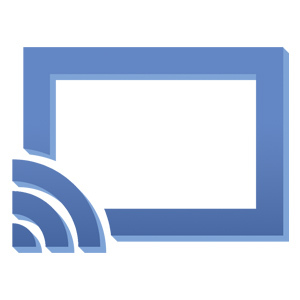 To setup from a browser, use the Chrome Browser and install the Google cast extension. To setup from an Android device, install the Chromecast app from the Google Play store. The cast Icon is hidden in the volume control in the Napster iPad app. You can click on the volume button for the cast Icon. What can customers stream with Chromecast? Users can stream from their mobile device or PC to a TV. Only audio streaming is possible with Napster - streaming videos is not possible. Everyone with an active Napster subscription and the required devices (see setup). If your Chromecast goes belly-up, or you come across a problem that just won't go away, you may need to restore it to factory settings. There are two ways to do this, both of which are very easy. The first way is to access the Settings menu on the Chromecast app, either on your PC or mobile device, and then click Restore Factory Settings. The second way is to hold down the Chromecast's physical button for 25 seconds.